La Rica Classic THC by Elite Seeds is a typical Indica that won’t disappoint. A sweet melon aroma and her superb Indica high that is deeply relaxing make for a very satisfying smoke experience. She’s easy to grow too which adds to the good impression of this fabulous strain. 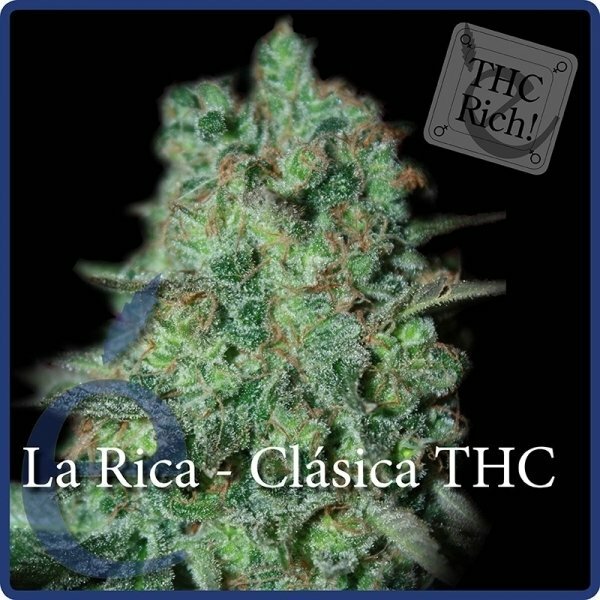 Looking at Elite Seed’s new La Rica Classic THC, a strain from their high-THC range of cannabis varieties, it can be really difficult to find a flaw or drawback. La Rica Classic THC combines a lot of good qualities that should please anyone, from the passionate grower to cannabis connoisseurs. La Rica Classic THC by Elite Seeds is a classic Indica dominant (80%) strain that isn’t difficult to grow. The medium-sized plant can do very well whether you want to grow her indoors or outdoors. She will grow into a wide and bushy plant with numerous branches that will be loaded with a ton of very-dense buds. Her sparkling flowers that will be covered in resin may possible give it away, La Rica Classic THC is an excellent resin producer that makes the plant a good choice to grow if you want to make concentrates. The flowering time of La Rica Classic THC is a reasonably short 8 weeks. When smoked, La Rica Classic THC will please with a nice sweet melon aroma and a superb Indica high that thanks to her 20% of THC will be very relaxing, smoothing and calming. This is a great smoke if you want to chill, for watching movies or listening to some music. 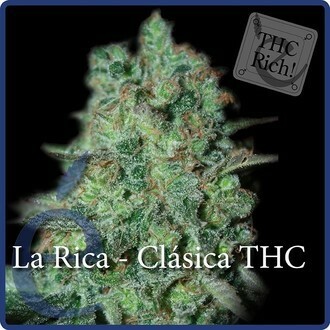 La Rica Classic THC by Elite Seeds has everything you could wish for from a top quality Indica. Her superb flavour and classic relaxing Indica high make her a strain that’s definitely worth growing!